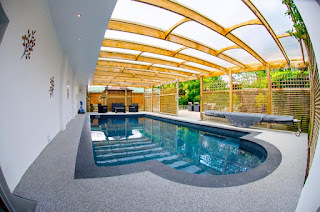 Purbeck Holiday Lets are a luxurious self-catering holiday accommodation near Bath that comes in the form of two Scandinavian lodges and two holiday studio apartments. 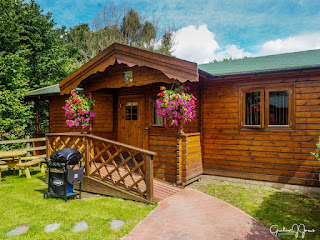 The magnificent self-catering lodges have 2 well equipped bedrooms as well as a sofa bed and can sleep up to six people. The facilities at Purbeck Holiday Lets will leave you speechless! We have two Jacuzzi hot tubs for you to relax in – one shared between the lodges and one shared between the studio apartments. You can also choose to have a leisurely swim in our heated swimming pool or head over to the fully equipped gym for a workout! While you’re doing that you’ll also be able to keep the kids occupied in our private children playground!